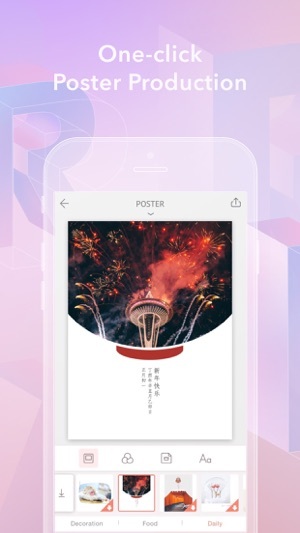 The delicate poster template within April Collage App has made is possible to produce arts with your own photos with one click. The big photo booth within April helps you to pick up photos from your camera roll or other albums with no fuss. With the portrait recognition intelligence, what you want in the photo is always in the right place. April doesn’t have a certain number of layouts because it actually doesn’t have that concept at all. 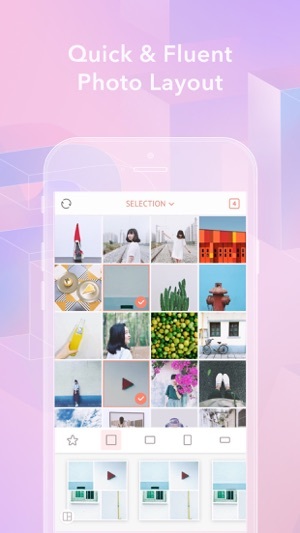 Choose 1 to 9 photos, switch between square, portrait or landscape layout modes, swap and tap a layout template, and drag the junction to resize, you got any layout you want. That’s how we do it. You can also add borders to your collage photo with different border width, colors, and textures. The internal, outer margin, as well as corner degree, is adjustable. 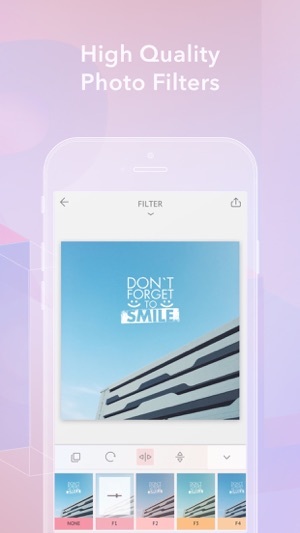 Every single photo in your collage is easy to rotate, mirror, flip, zoom in or zoom out. 40+ stunning filters with effect degree control help you to differ your collage photo from regular ones. You can also add a magnet to your collage photo. 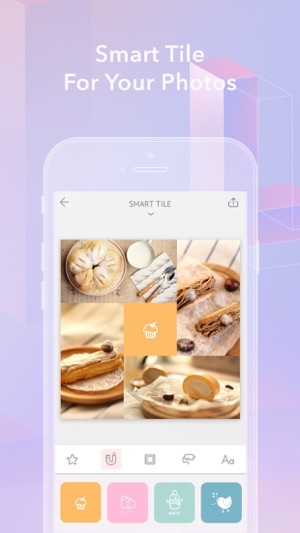 The magic tile customs for you with time, date, city, weather, and help you to show off a creative outfit. The app integrates seamlessly with Instagram and Facebook so all the fun you want to share with your friends spread out with only one tap. PicStrip: provides "Full view" and "Large view" preview modes; giving you a god's eye perspective of the collage you want to piece together; also supports adjustment of details of single images while browsing the overall picture. 1. Service name: Monthly April VIP ($1.99 USD/month), hereinafter referred to as VIP. 2. By subscribing to VIP, the relevant fee will be paid after confirming the purchase. 3. Your first subscription will be provided by a 7-day free trial. Any unused portion of a free trial period, if offered, will be forfeited when the user purchases a subscription to that publication, where applicable. 4. Subscription automatically renews unless auto-renew is turned off at least 24-hours before the end of the current period. The account will be charged for renewal within 24-hours prior to the end of the current period, and identify the cost of the renewal. 5. To turn off auto-renewal of the subscription, you may go to Settings—>iTunes Store & App Store-->Click Apple ID-->View Apple ID-->Subscription--> Monthly April VIP cancel Subscription. 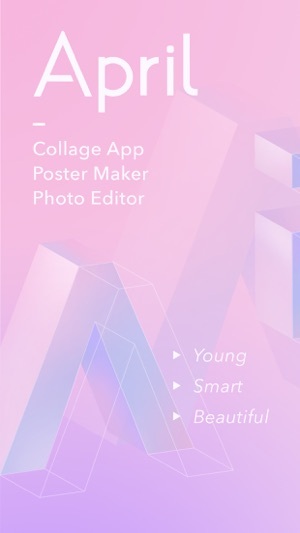 This app was everything I expected and more, with beautiful filters to suit my every need, as well as tons of fun features that let me customize my collage to suit my every need! The layout is simple and easy to navigate, and certainly helps me get the job done. 6/5! This app is so good!! 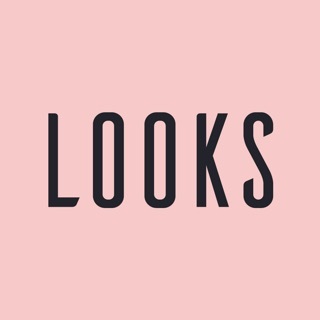 I like this app because i do take photos a lot sometimes and this helps my photos look so good then before so i want people to get this app because if you take pictures like me then this app would be perfect for you!